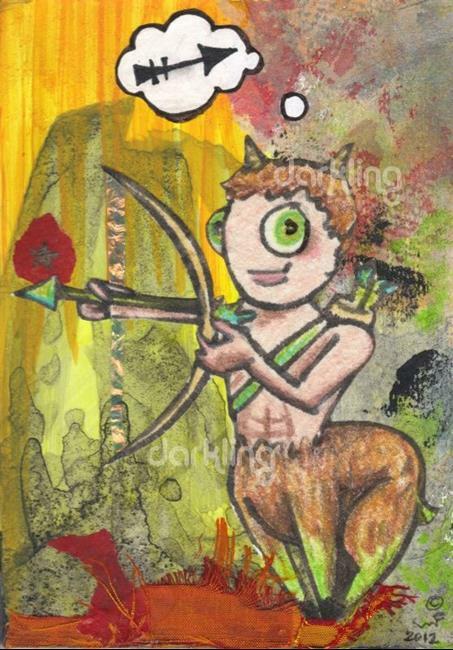 This is an original mixed media fantasy piece, created in acrylic paints, archival inks, pencils, and papers on a 3.5" x 5" piece of masonite. "Sagittarius" is initialed on the front; full signature, title, and date are on the back. Sealed, wired, and ready to hang as is, or easily framable! Watermark is for online display purposes only and does not appear on the actual art.Please feel free to contact me with any questions or comments you may have, and many thanks for looking!To see all my current eBay art listings, please click HERE!